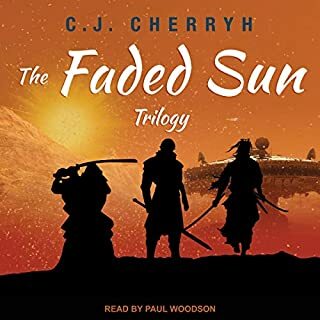 First in a brand-new Foreigner trilogy by Hugo Award-winning author C. J. Cherryh. 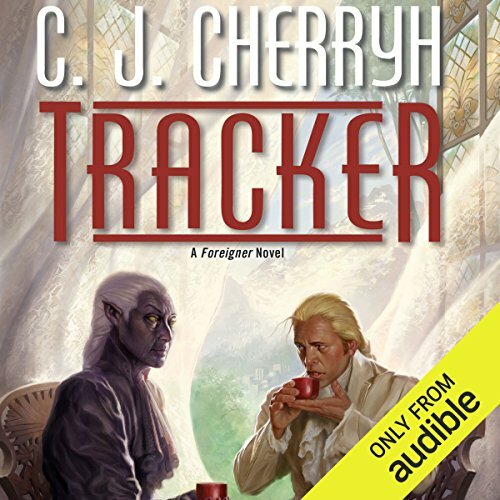 Tracker is the 16th installment of C. J. Cherryh's acclaimed Foreigner series. 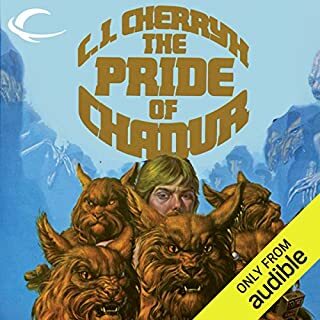 ©2015 C. J. Cherryh (P)2015 Audible Inc. I don't think I know how to review these books any more. This one is number 16 in the Foreigner series. 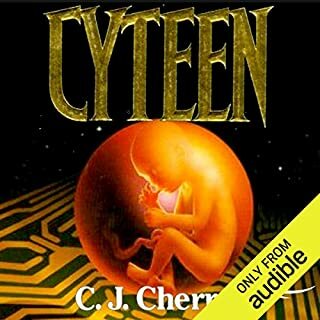 I had started at the beginning about 25 years ago (Cherryh has been one of my favorite authors since I picked up her first novel, The Gates of Ivrel nearly 40 years ago). If I hadn't started at the beginning how confused would I be trying to put together the world of the Atevi and the world of diplomat/translator Bren Cameron? Or maybe I wouldn't have been confused, maybe I just enjoy the depth of the story because I did start at the beginning. Anyway, this one is better than the last sequence which had the feel of being a bridge between major parts of the story. 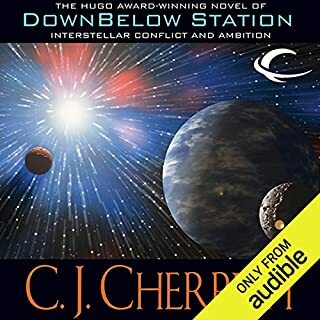 Cajieri's young human friends have gone back to the station and it seems that Bren is going to get some work done now that certain plot lines in flux seem to have settled down. However, an extraordinary event sends the story off in another direction. Daniel Thomas May is still doing an excellent job of narrating the story. Some of the Atevi words are not quite what I imagined when reading the books, but I am reconciled. Great to have all of the books with a single very competent narrator. As usual, CJ Cherry and Daniel Thomas May deliver a good story. Mr. May's performances of the many and varied character voices is consistently good. Thanks and kudos to both the author and the narrator. What was one of the most memorable moments of Tracker? There are several moments when crises are at a head and one wrong move of diplomacy could lead to disaster and bloodshed. Inter-species relations, linguistics, politics and intelligence (in the spy sense), are some of the aspects that make the Foreigner series of books such a remarkable achievement in the field of science fiction. Which character – as performed by Daniel Thomas May – was your favorite? Bren Cameron, is great as always as is the Dowager. The captains, other than Jace, are a bit overdone (i.e. hysterical). I listened to the book over two days. This book is exactly what those that have read the series so far have come to expect. It might be a little bit pat in places, but is engaging throughout. Be aware that this is the first book in a 3-part arc, meaning that the ending leaves you wanting more which can be frustrating. This is even apparent in that it would be hard to say for sure what the title "Tracker" means. Hopefully the next book is not far behind. Too Short! Over too soon. 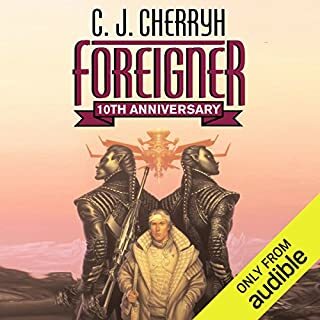 First of all, Cherryh's Foreigner series is probably at the top of my list for all time favorite reading (and listening!). Visits to the Atevi universe are all too short, and too far in-between. I think Daniel Thomas May is the perfect narrator for them, and I can't imagine listening to anyone else now for these books. This installment did feel a little transitional, but perhaps it's all necessary to setup the next great adventure. Characters from previous books are revisited, further developed, and obviously being positioned to play a role going forward. I'm so pleased that the series is being continued, and don't think fans of the series will be disappointed. I love these novels. I can't resist telling this story, and it is a complement to the narrator. I was at a convention in Washington DC in April 2014. The event I went down for was over and I wanted something to do before going home. I found a Walking Dead cast member with nobody at his booth and we started talking about acting, unions, and Georgia. We hit it off really well. I could not remember his character, and we didn't talk about the show. I could not shake the weird feeling that I knew him, had met him somewhere before. He was very encouraging and we talked for about half an hour. It was Daniel Thomas May. I didnt figure it out until the next novel came out. So, we had never met before, but in a way, after all the novels, I'd met him, he just hadn't met me! As long as Cherryh wants to write them, and May wants to read them, I will buy them. Oh, this one is a bit of a cliff-hanger so bring on the next one. 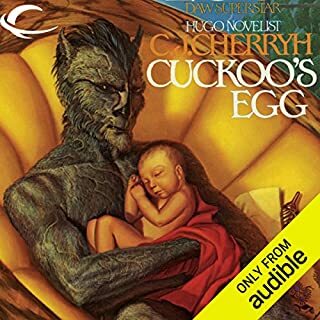 Would you consider the audio edition of Tracker to be better than the print version? I have not yet read the story but Daniel May is excellent at the job. For the last 3 years I have wondered if this turn would take place, the other aliens come to call, now they have and the danger and the hope and the change begins. Have you listened to any of Daniel Thomas May’s other performances before? How does this one compare? Great job, just what I expected, 10 out of 10. This is a slightly wrong question, Ms Cherryh's books are exciting and expand one's universe - thus this book created excitement and expanded my universe. The next book will be long awaited! Even if it comes out tomorrow! I love it. The adventure continues. Daniel May as usual performed wonderfully. I love Bren Cameron's character so much. Daniel May portrays him so well! All the character are so so interesting. I can't wait for the next book . This Series Just Gets Better With Every Book! If you are acquainted with the series, you will know that Bren Cameron, the interpreter between several species and between factions of the Atevi population has recently helped with routing out some major traitors within the home world government while trying to successfully host visiting children from a long lost space post with the young Aiji. This book now moves to activities "in the heavens" as expected visitors suddenly arrive, posing an inconvenient visit amid an almost civil war between the earth bound humans and the rescued Reunion humans. Cherryh does an excellent job of moving the characters not only through the story arc, but through growth as personalities as well. I was hugely impressed at how masterfully she has done this with so many powerful personalities in the story. This is an amazing book, a Foreigner series culmination in which Cherryh masterfully begins pulling together threads from all the earlier books. It's as though the entire series is a chess match, and book 16 begins the end game, the most exciting part. I didn't mean to, but I ended up setting aside all non-essential activities and listening to the whole thirteen-and-a-half hour book in two days. Then I immediately went back and listened to some parts again. Now I can barely wait for the next two books. This is book 16 in the Foreigner series. (All the books are in 3-book "story arc" sets.) You don't need to read all 15 previous books to enjoy this one (although they're well worth reading). However, I think the experience of reading book 16 will be much richer if you read at least books 13-15 first. This is a great start to a new sequel. Like all the books in this series I can't wait for the next one.